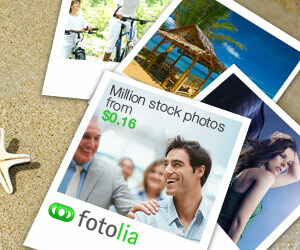 Fotolia is definitely in top tier as they have huge stock photography library tempting all professional designers. Joining Fotolia is easy so you just need to create a free account. There is no upload restriction and no initial review, so you can submit as many photos as you wish. Due to a huge image database, they are very strict in terms of quality and content supplied so get ready for some rejections. – from 0.25 credits to 0.40 credits for subscription download. There is a free images section, and you can decide to let your photos show up there if they are rejected from their regular database. If you are happy to donate some of your images to increase your portfolio exposure just tick the box while submitting your images for review. Despite the fact that their acceptance rules are very strict (which is good, as I am tired of seeing tones of poor quality stock images on some stock photo sites), Fotolia is one of the best stock photography website, and an excellent opportunity for every photographer trying to market their top quality work and sell photos online.